HomeFamilyDo Both Irrevocable Trusts And Living Trusts Require An EIN? 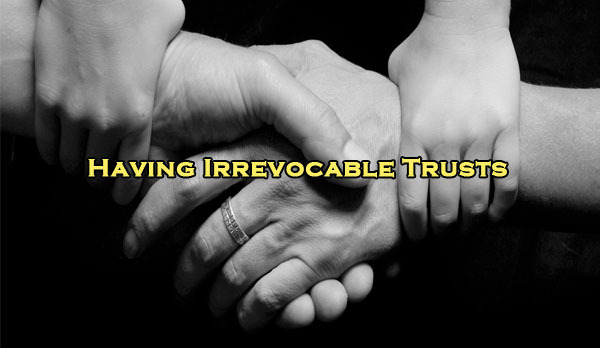 Establishing Irrevocable Trusts has several advantages. Not only is it a great way to help ensure that your assets are distributed according to your plan after your passing, but it can also lower costs and help avoid probate court for your loved ones. You have two options when setting up Trusts. One option is having a Revocable Trust, which can be changed by you during your lifetime. If you are uncertain about how you really want to distribute your assets, a Revocable Trust may be ideal. A Revocable Trust will not need its own IRS-EIN-Tax-ID. Instead, you will use your Social Security Number. The other option is setting up Irrevocable Trusts, which cannot be changed without the approval of the Trustee. That applies even if you are still alive. This type of trust will require its own EIN number. Here’s an interesting tidbit: Just know that upon your death, a Revocable Trust will become an Irrevocable Trust. Meanwhile, you will need to complete a federal EIN application if you are setting up Irrevocable Trusts for your children. If you have a Revocable Trust, the paperwork will need to be filed by the Trustee or another reliable individual after your death. Fortunately, filing for an EIN can be easily done online through a trusted partner. You can also fax or mail an EIN or estate EIN application but be aware that these methods will take several weeks longer than online filing. So if you are tech savvy, online filing is more convenient. Choosing to create a Trust is a personal decision and should not be taken lightly. Once you’ve decided on the type of Trust that you wish to establish, you can go ahead and file your EIN paperwork.